Hello, my name is Ann Anderson. Thank you all for coming. Today is Veterans Day. To all veterans, here and elsewhere, thank you for your service. One hundred years ago today, at the eleventh hour, of the eleventh day, of the eleventh month, an armistice effectively ended the Great War, the War to End all Wars, or, as we call it, World War I. Several nations chose to give the date national recognition as a holiday. Armistice Day. Remembrance Day. In the United States, Veterans Day. We observe it to honor all those who served in the armed forces. But it also serves as a reminder of that past war that ended 100 years ago today. World War I is often overlooked in the wake of World War II and other, more recent, conflicts. But World War I and the process that followed left huge footprints. It sowed the seeds for the next world war, but it sowed so much else as well. Good and bad. The worldwide influenza pandemic; Ponzi’s scheme; the fall of empires; the rise of new nations; the beginning of the end of colonialism; the carving up of territory and drawing of national boundaries we still celebrate and struggle with today. The League of Nations, its failure, and from those lessons, the rise of the United Nations, which in turn gave us the Universal Declaration of Human Rights. It shaped our thoughts and views on science, philosophy, religion, politics and society going into the new century. It brought the United States firmly onto the world stage as a major player, both politically and economically. It left a trauma deep in the European psyche, that often those of us in the United States still fail to understand. It also shaped how we think of veterans. To think of them as more than two dimensional heroes, and recognize them as human beings. To recognize that the trauma suffered is not always physical, and that emotional trauma is just as valid, just as concerning, just as worthy of care. We are still working on that, but World War I opened our eyes in that direction. Because in the end, it comes back to the veterans, those living and those passed on. 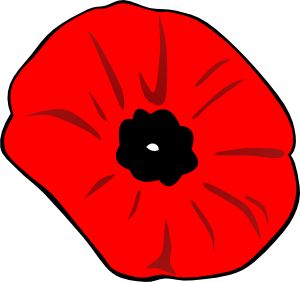 The red poppy has long been associated with this holiday. People here and there have attached various meanings to this symbol, but its origins are fairly simple. It symbolizes the fields of Europe where the war was fought and where poppies later grew. It symbolizes those that died in the conflict. It symbolizes hope for the future. In particular, Canadian Lieutenant-Colonel John McCrae, noted how quickly poppies grew on the graves of the dead. McCrae is one of many soldier-poets that emerged from World War I. 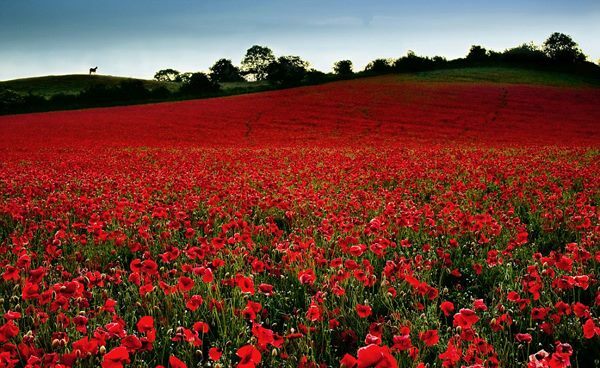 After presiding over a funeral of a friend, he wrote “In Flanders Fields” in 1915 in which he referenced the poppies. Lieutenant-Colonel McCrae is also one of the soldier-poets who did not live to see November 11, 1918. His poem was published posthumously in 1919, and his words live on. A very good speech. I like the way you bring so many issues to the present day, from the treatment of veterans to the US on the world stage. Thank you so much. One of my goals was to tie things to the present day. 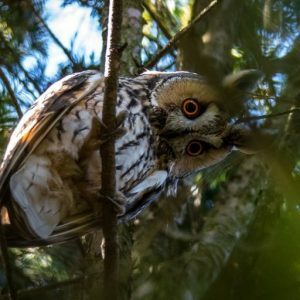 I really appreciated your blog on the subject, both the overall historical context you provided and reminding us all that there was enormous complexity to the ceasing of the war, as well as the tendency to be Western-centric and forget the events in Eastern Europe and beyond. As it turns out, I wanted to touch on some of that in my own speech, but felt that brevity and the audience required something more streamlined. So again, I am very appreciative that you highlighted it in your own blog.